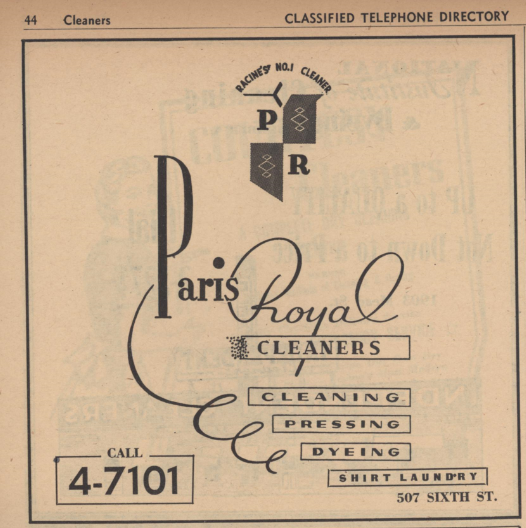 I am gradually scanning in a Racine Phone Book from 1954, and I’ll be posting highlights here. 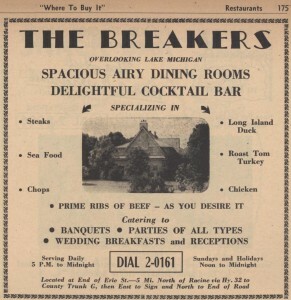 This restaurant, The Breakers, sounds awesome. I wonder what the building was before it was a restaurant. Rich Drewek says that The Breakers restaurant had a very good reputation but he never got to eat there. I see you have a copy of the 1954 directory. It is just what I wanted info from this book. My grandparents owned a small grocery store on the north side. 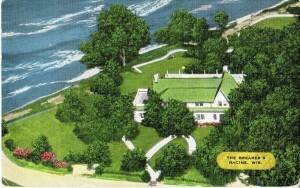 (north and east) of Janes school. Their names were John and Marie Bylsma. Would there by chance be an ad or location of the store” The next lime I visit from Mpls., I would love to get a photo, if it is still standing. 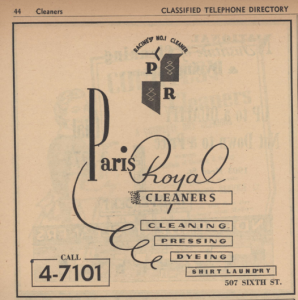 Hi Judy Spencer: I am sending you a picture of all the Bylsma entries in my 1954 phone book. When I continue to search, I don’t have any entries for a Bylsma grocery — maybe it was named something else? Also, do you have a street address? Hi! Is there a listing for a Franklin Junior High School. I’ve been trying to find a any info on that school that I went to. Also.. there used to be a record store right next to the old and now gone “Venetian Movie Theater” that was in downtown main street. I’m looking for the name of that record store. 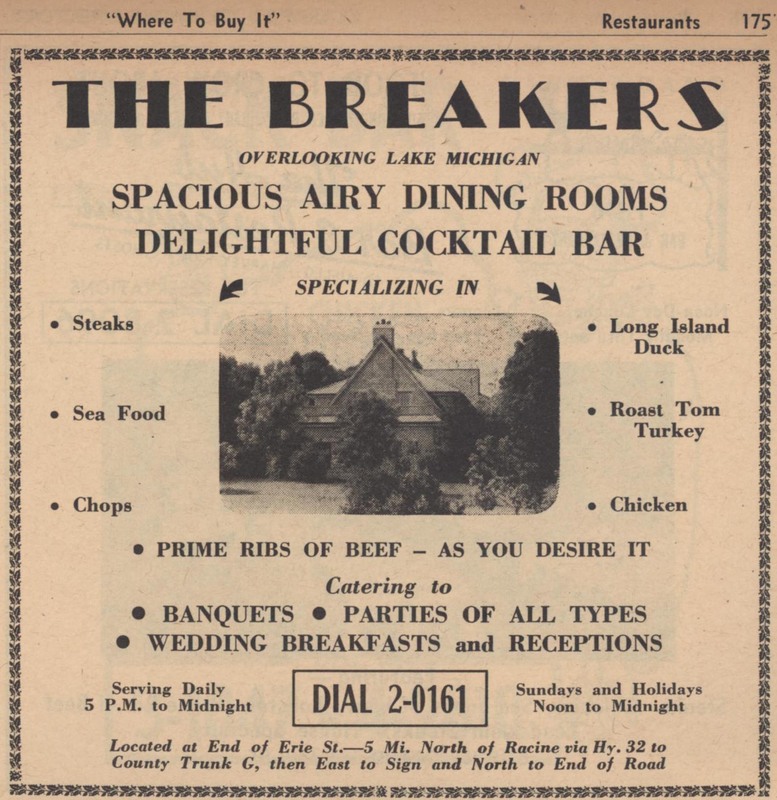 I’m trying to get a history of THE BREAKERS restaurant in Racine. I’m hitting some brick walls. Can you provide any info? I’m told it burned down?